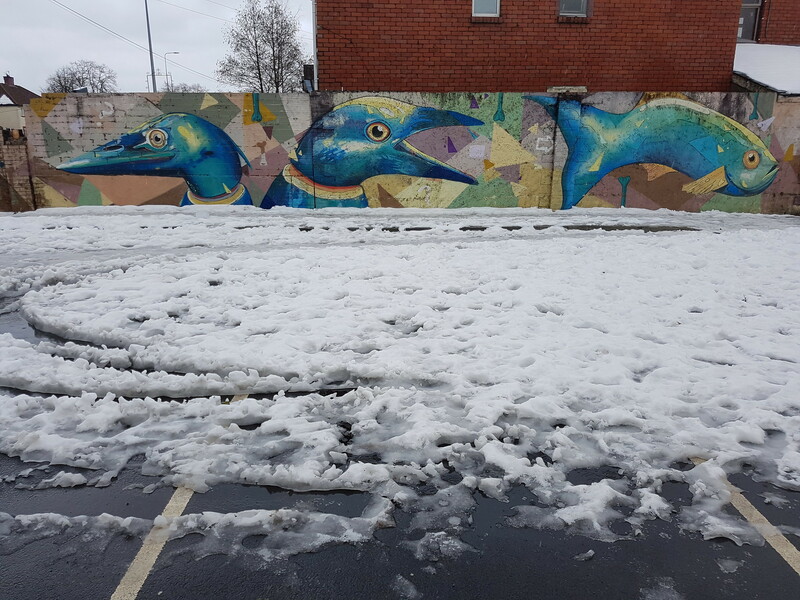 Whilst most people were staying indoors during the last cold snap – a few of us headed out to battle the sub zero temperatures to snap away! 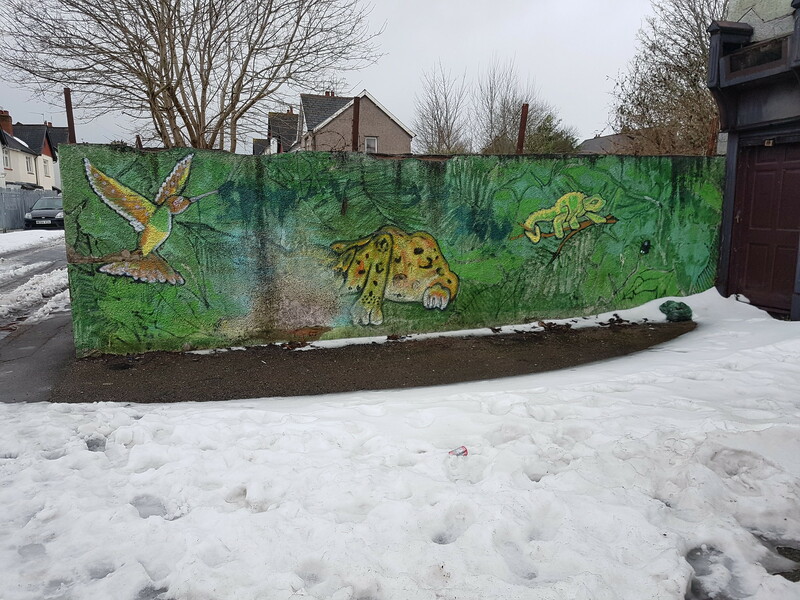 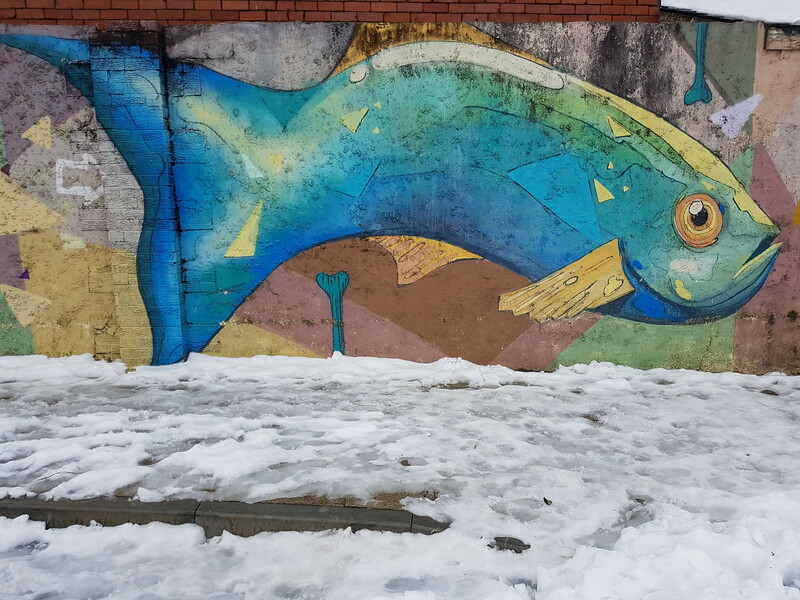 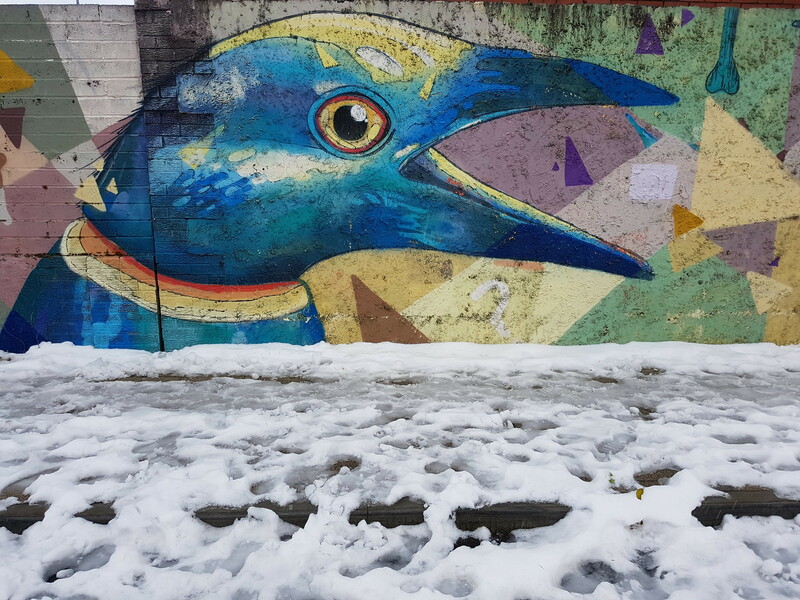 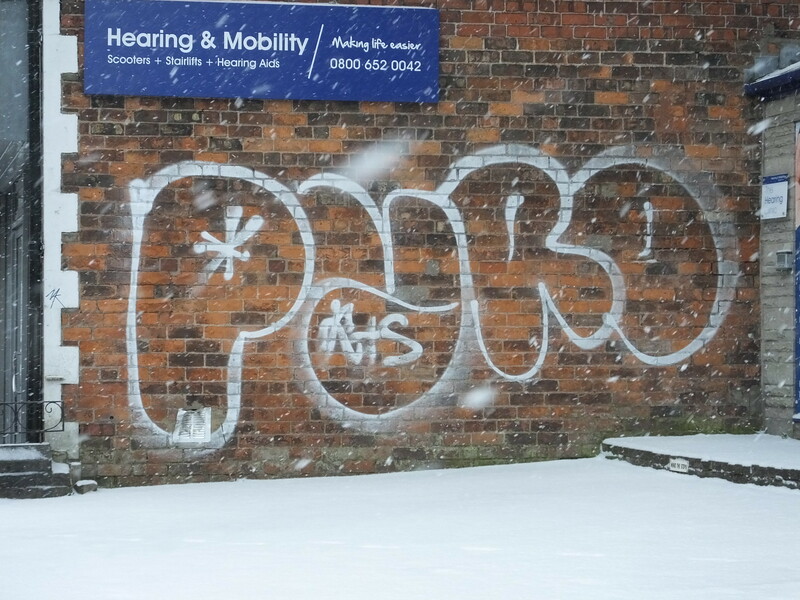 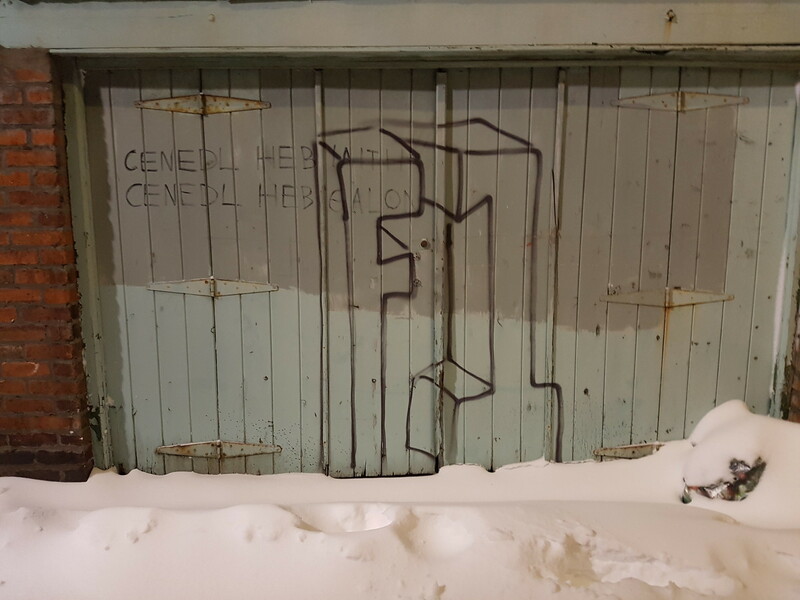 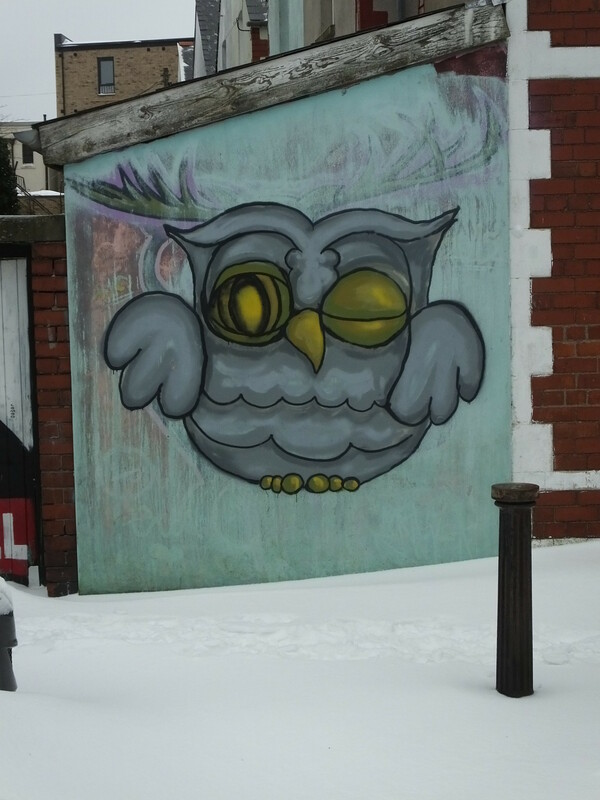 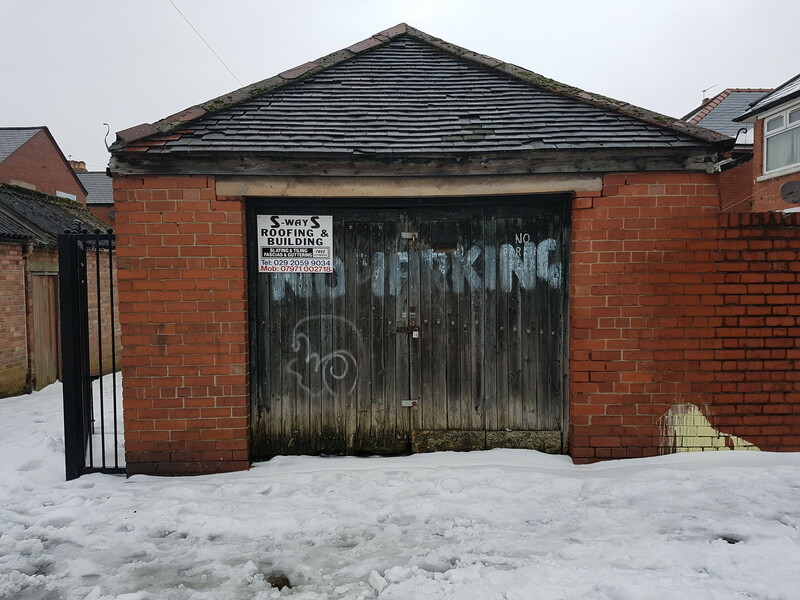 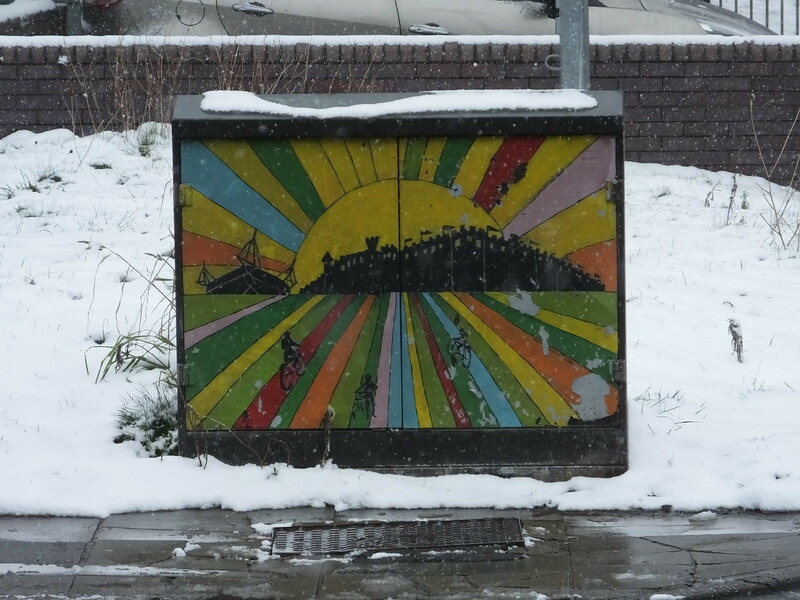 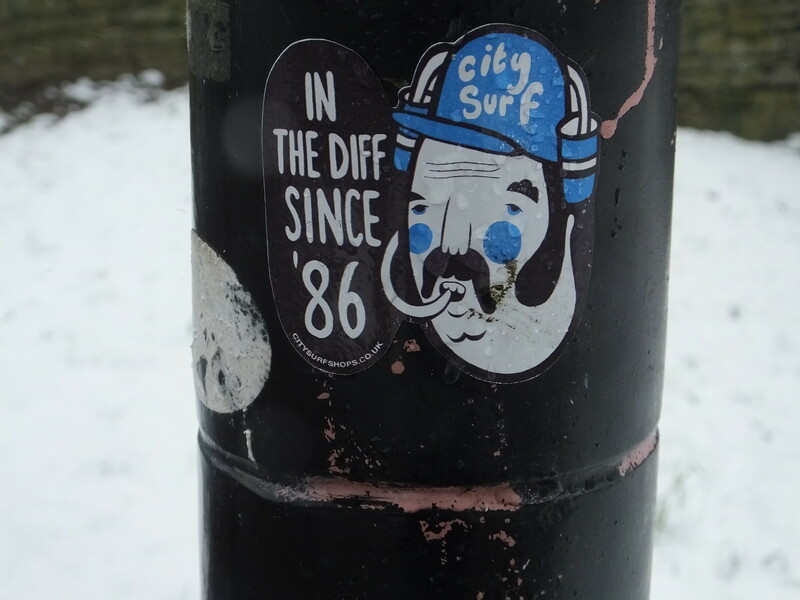 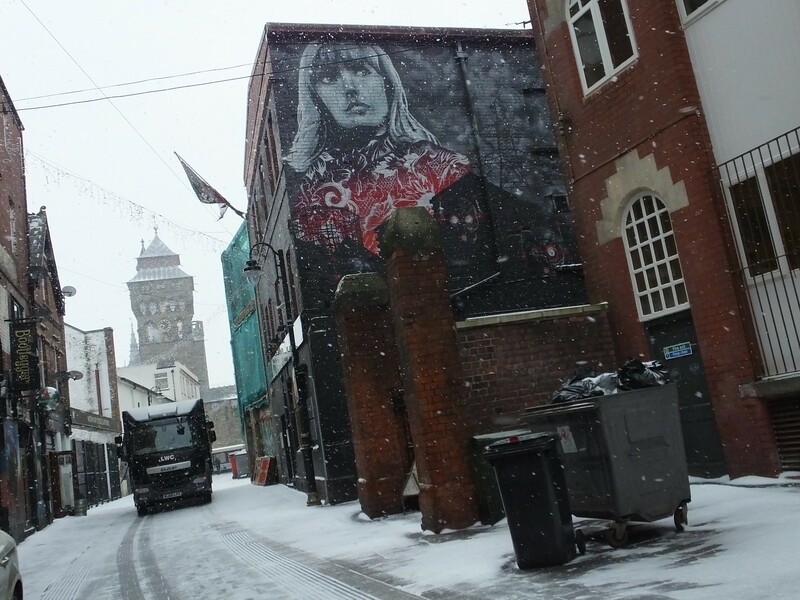 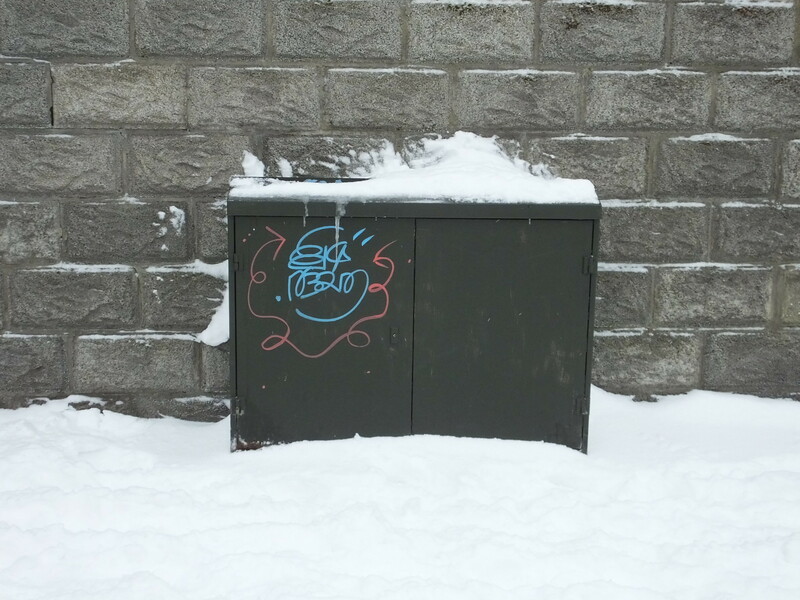 A whistlestop stop tour of a few locations around the city featuring some great street art and graffiti emanating from within the white wintry world. 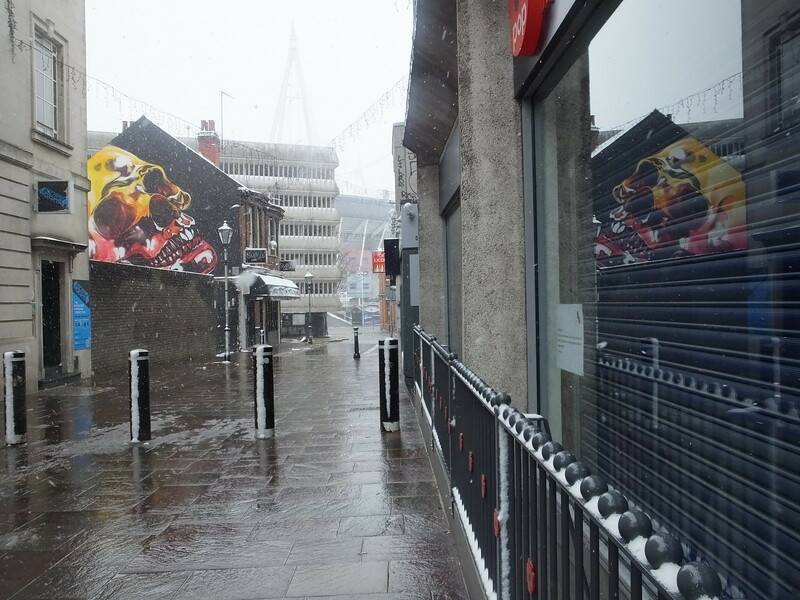 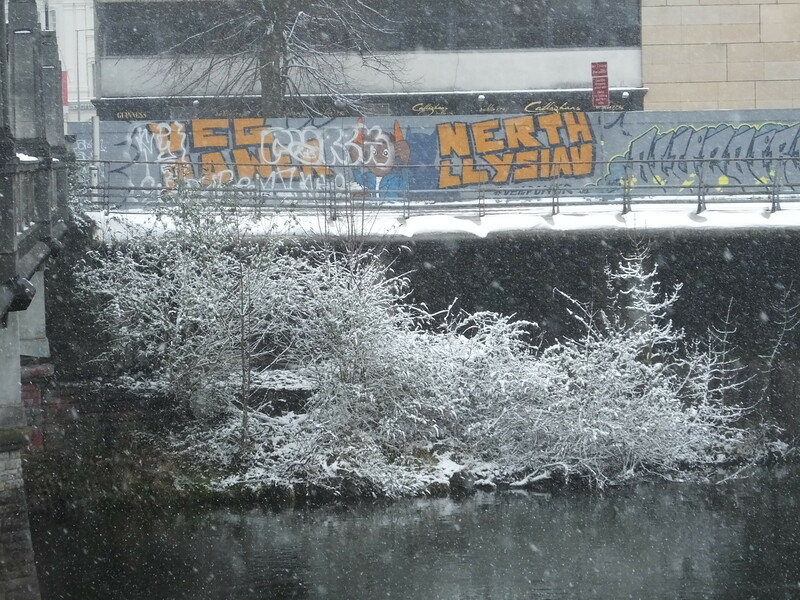 Starting in the city centre and some classic work from Rmer getting the wintry treatment and then a selection from nearer the River Taff and the Millennium Walkway. 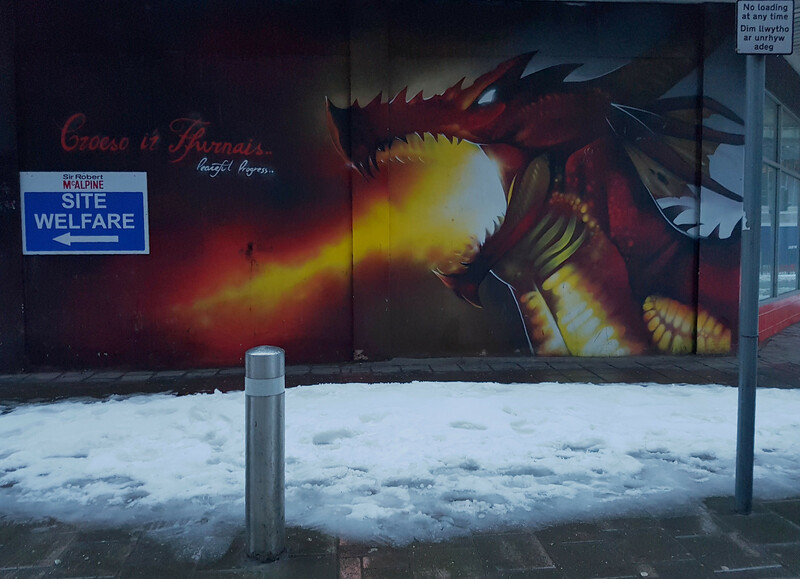 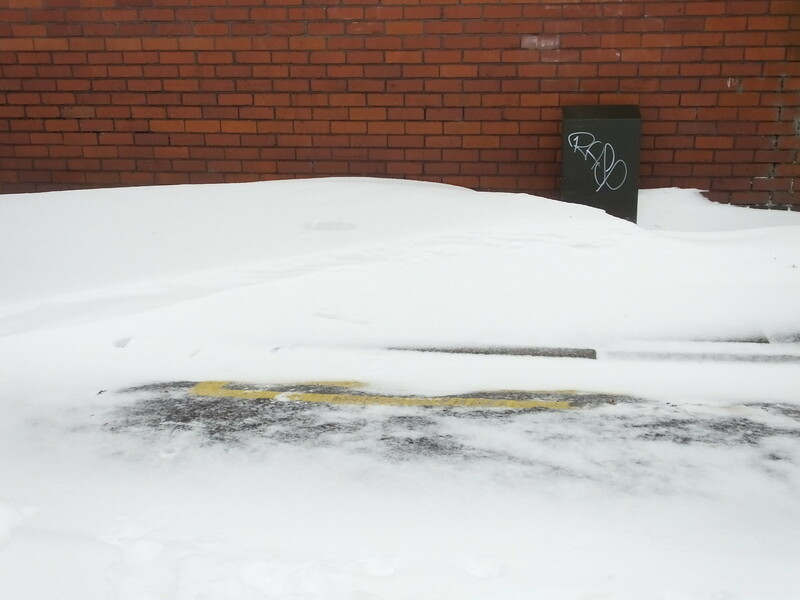 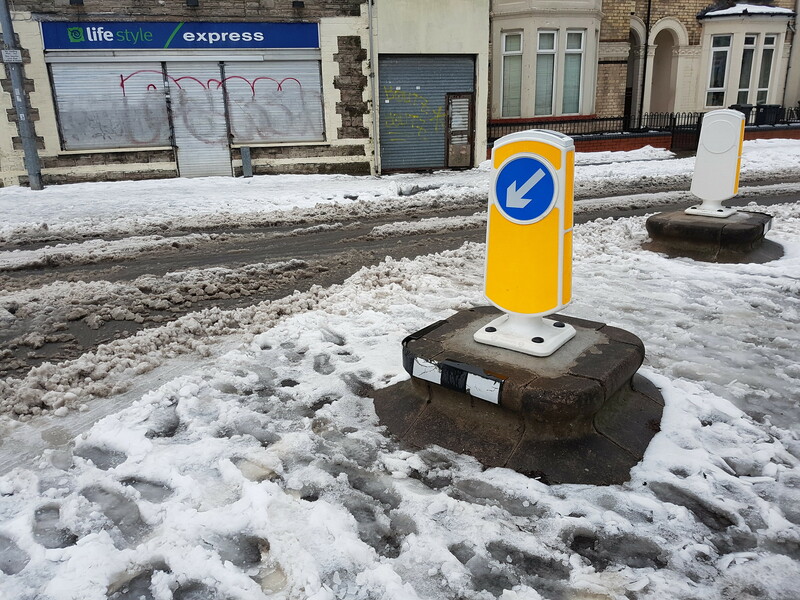 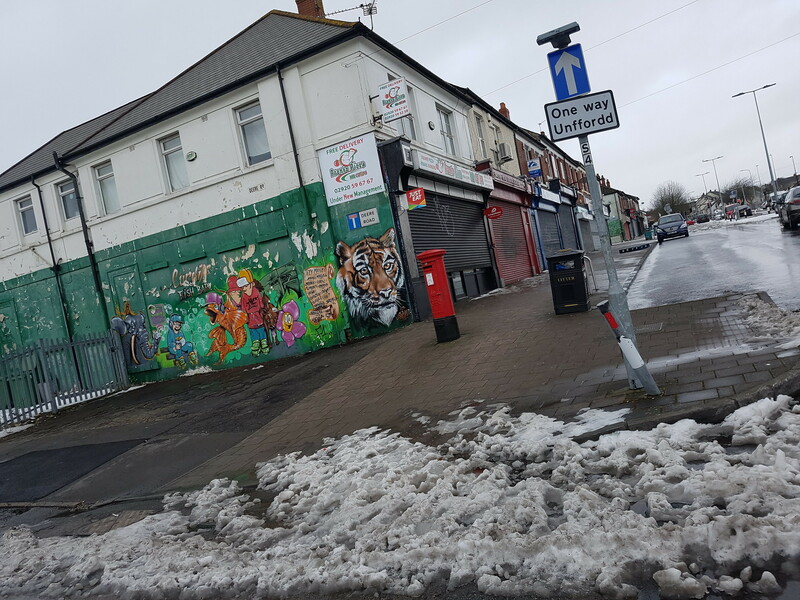 Peaceful Progress’s dragon may have been keeping warm but as temperatures plunged to -10oC – plus adding in that wind chill factor – it really was the coldest weather in Cardiff for decades. 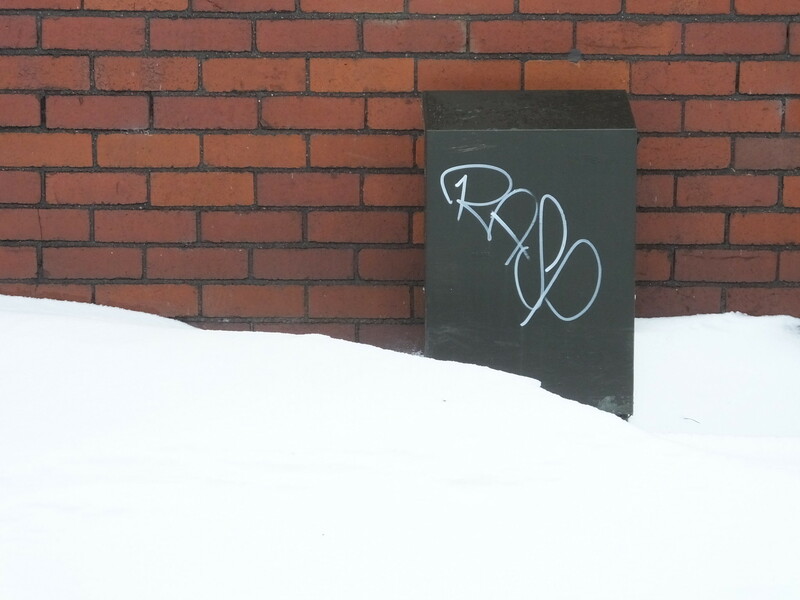 Moving out of town via Riverside and Canton and work from Puro was apparent. 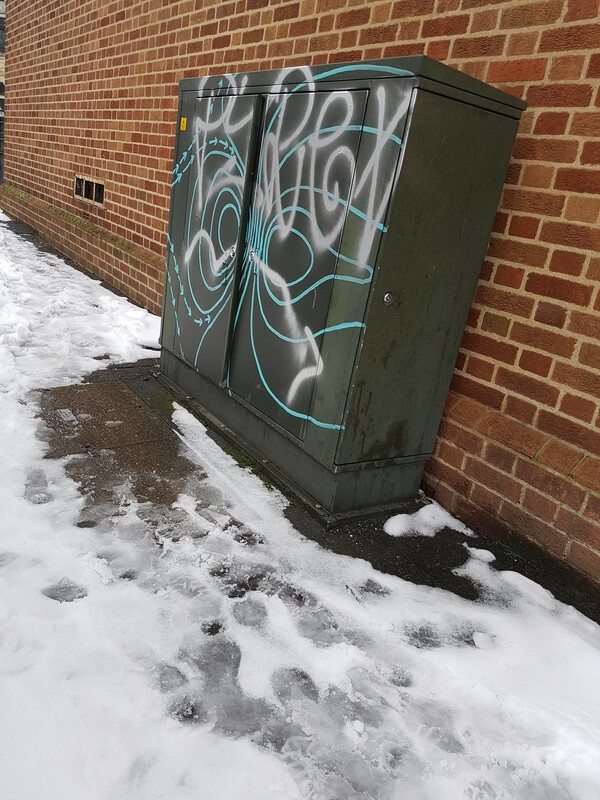 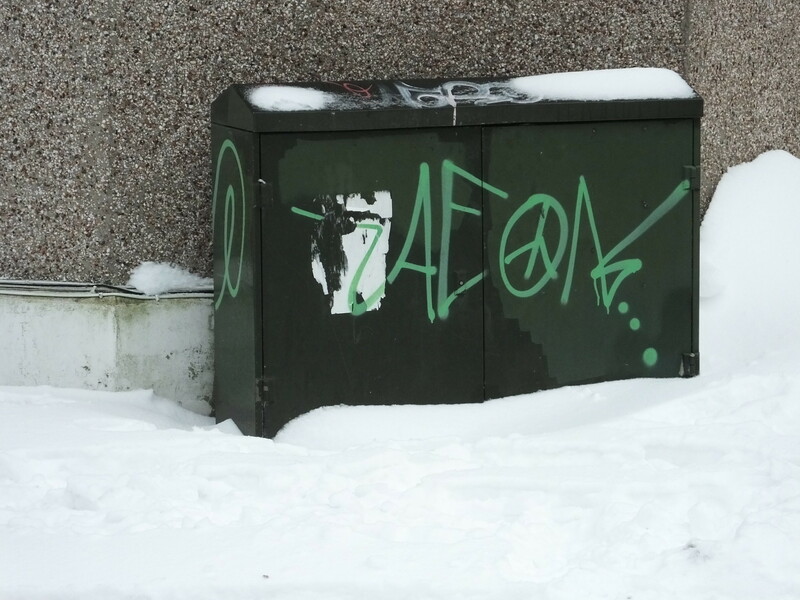 Next along the route a selection of facility boxes poked out from the snow including these from Rasp and Aeon. 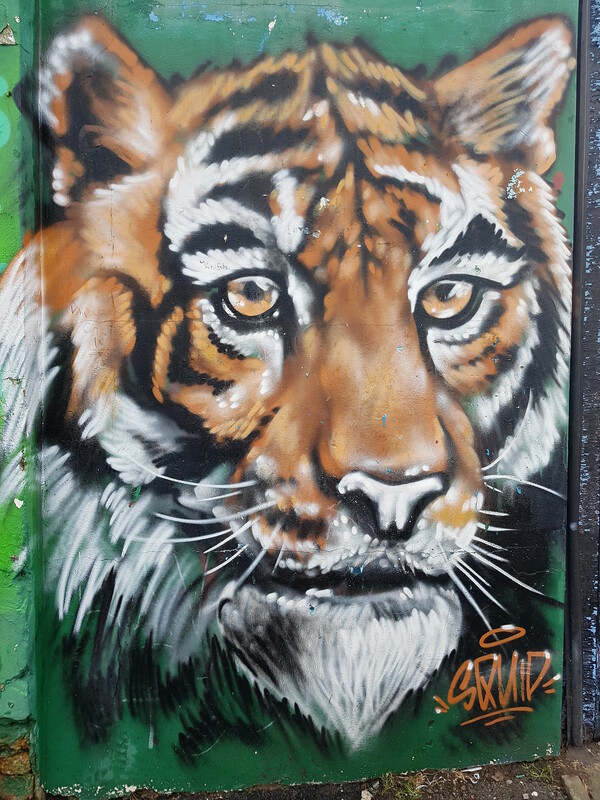 And then near Chapter Art Centre this work from Enta has lasted many years now along with some extra, temporary graffiti added nearby on a car. 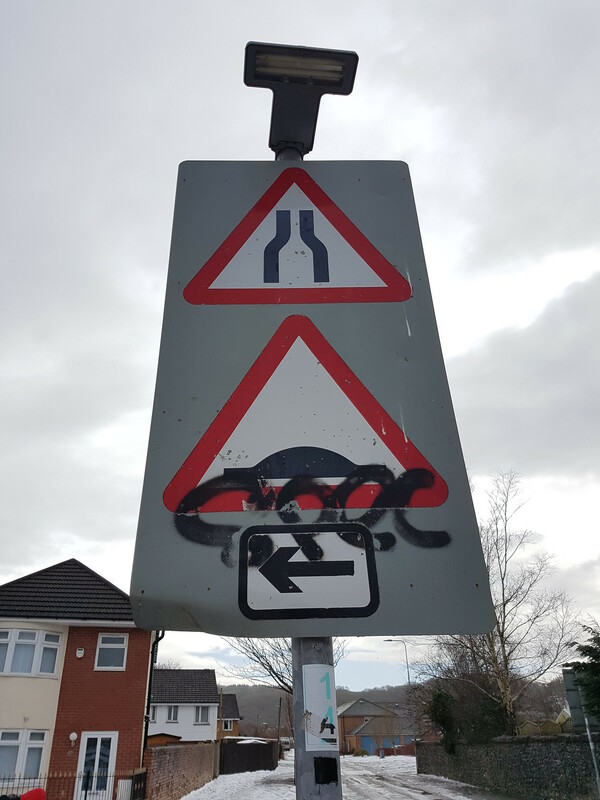 More facility boxes, signs and a distinctive Welsh flavour from Phil Morgan’s sticker and some Cymraeg near Victoria park. 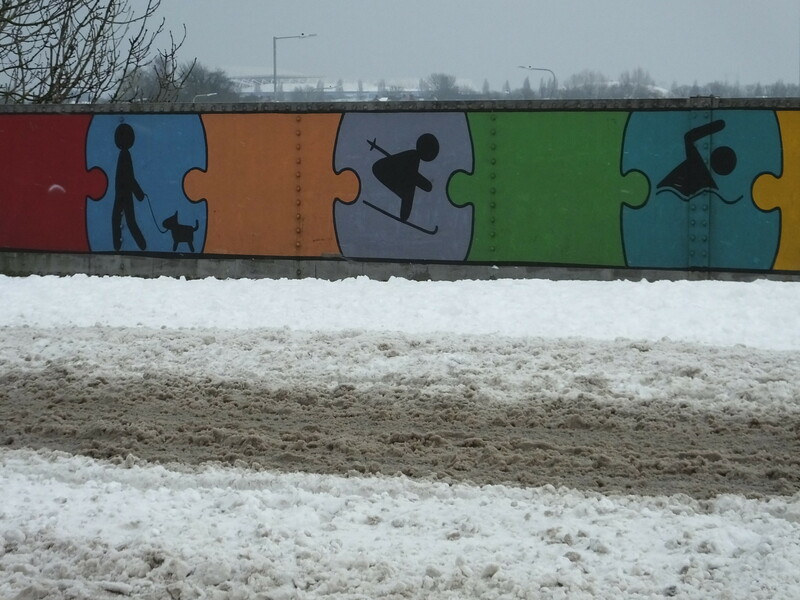 Heading beyond Canton and some striking work from Zilch and Karm along with a skier as part of the community scheme to brighten up Ely Bridge. 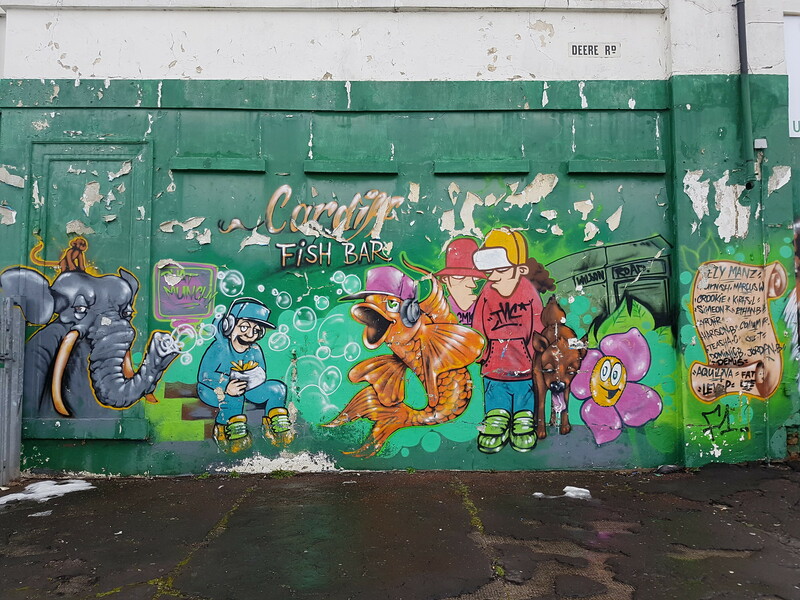 Further into Ely and Wilson Road where a host of artists had painted many years ago near the shops including Refa and Squid. 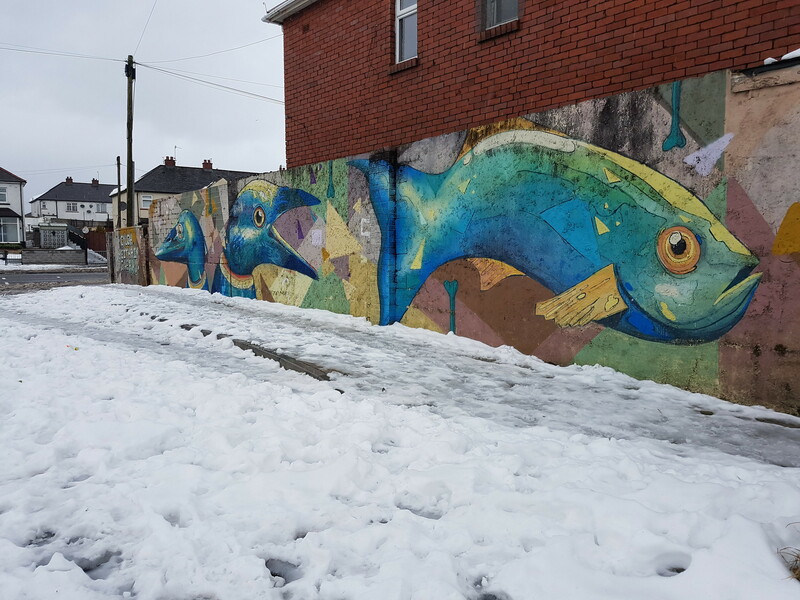 And it was great to re-visit such colourful work from Colour Doomed on Cowbridge Road West where these creatures still brightened up even the dullest, coldest, wintriest day in the diff! 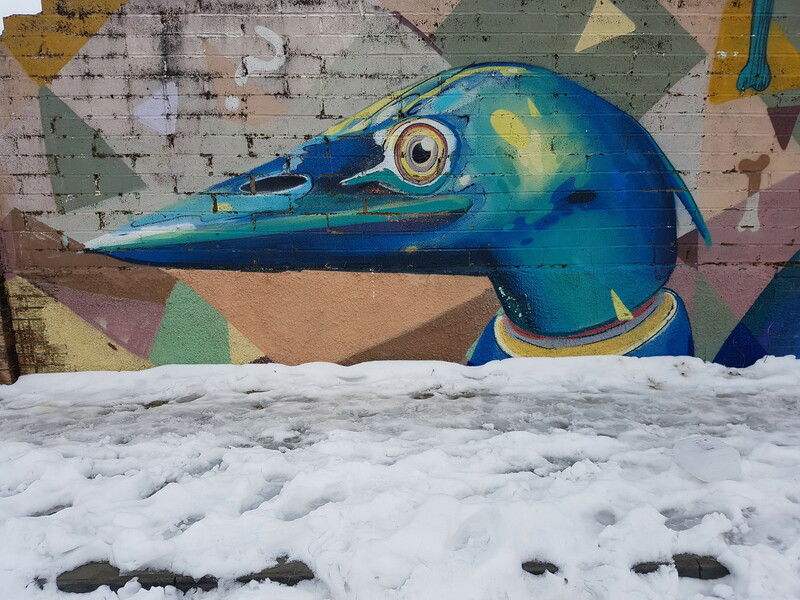 Exceptional weather conditions but it was great to be out and about to capture some of the city’s artwork. 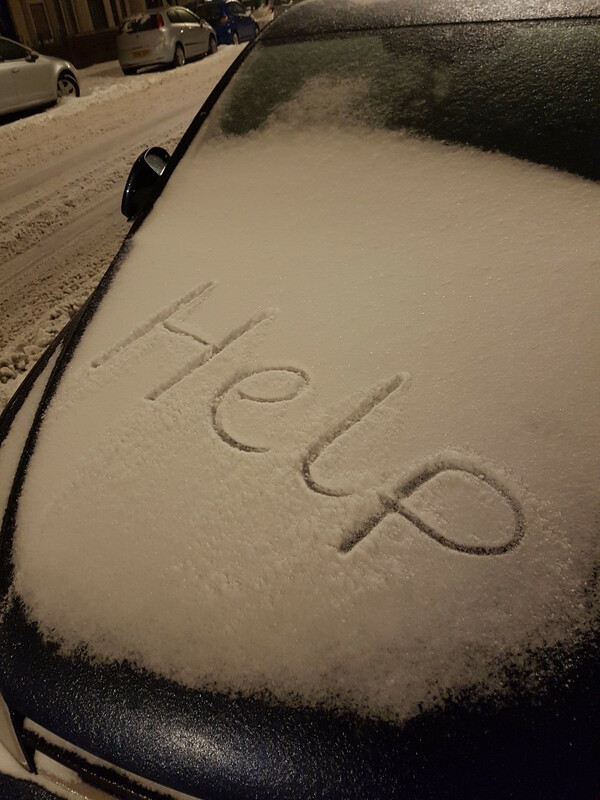 Time for help now….